Eugenia Skuby and I, both members of Holy Cross Church, Medford, New Jersey, and caregivers of aging mothers, recognized that there were a growing number of parishioners who were talking with us about their struggles of being a caregiver for an elderly parent or loved one. When Fr. John Shimchick came to bless my home, I asked if we could have his blessing to create a support group for the purpose of encouraging and supporting one another, and he agreed. Quickly we contacted those people, men and women, who were interested in becoming part of this group, and set a date in the evening to meet. Our first meeting was at a neighborhood restaurant, where we began with a prayer and a light meal. Coming from a Behavioral Health Care background, I talked about how peer support avoids categories and roles, but rather emphasizes that peers support one another, we who are moving through difficult situations, and help each other learn how a crisis can be an opportunity for growth and change. Mutual support is a process in which the people in the relationship strive to use the relationship to become fuller, richer human beings. After that introduction, conversation flowed easily, with members sharing their thoughts and experiences, acknowledging each other’s difficulties and accepting our differences in handling our loved ones. We also assured one another of our commitment to this relationship and to maintaining confidentiality. We have now been meeting once a month for five years over a meal together, sometimes in a group member’s home, sometimes at a local restaurant. Eugenia or I act as moderator, and we always start with a prayer. Our discussions begin while we’re still eating and continue after the meal. One of us will say something about what has been happening to us during that month as a caregiver, and then ask someone else a simple question derived from what was talked about at our last meeting. The discussion usually flows from there, with members feeling free to bring up different problems or solutions that they’ve found that month. Perhaps they will request a prayer for a particularly difficult situation. If the discussion stalls or strays, I will usually bring the conversation back to caregiving. As moderators, we also try to ensure that each person gets an opportunity to talk. We generally wrap up the evening by determining the next month’s meeting date and location. Last year Fr. John found a wonderful resource for us that we have read, studied and used personally to enrich both our lives and work with our loved ones and our group. 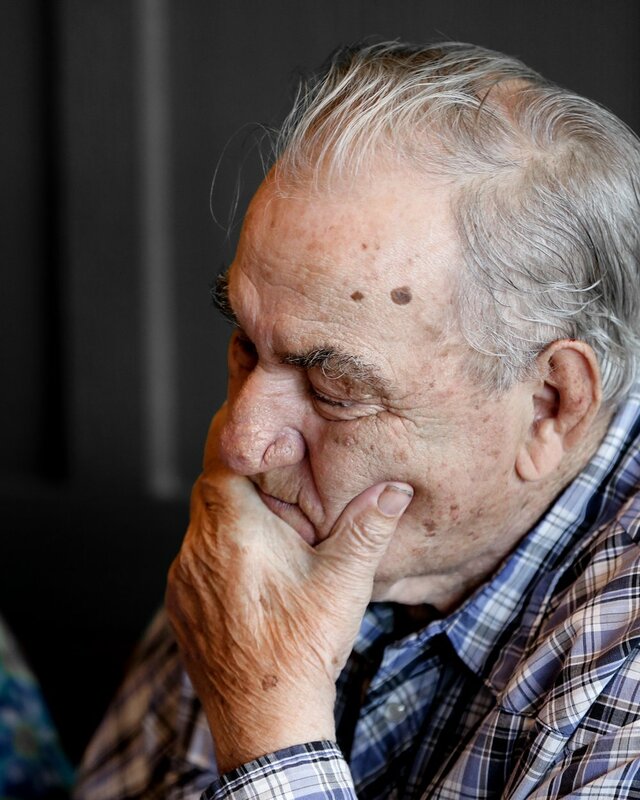 It is entitled Counseling the Caregiver: Addressing the Biblical Responsibility and Care of Aging Parents, by Holly Dean Drew, The Master’s College, May 2002. It can be accessed at http://www.Tren.com, by searching the Tren Database Thesis/Dissertations. This was truly a wonderful resource for us, expanding our knowledge of the compassion needed to be part of the ministry of eldercare. It gave us biblical resources, and re-emphasized the importance of truly listening, sharing our faith in God, reinforcing laughter and joy, touching, gentleness and patience. We agreed this year to invite some experts to help us: a cardiologist and a social worker specializing in care of the aged. Both happen to be members of our parish. We will also engage in a Bible Study, using Holly Drew’s dissertation resources, cited above. Over the years a few people have left the group and a few have joined. Our membership expanded recently to include a few women who are struggling with taking care of their aging husbands, and one woman who is grieving the loss of her husband. Sometimes we have social activities, and we stay in touch by phone during the month when there are more trying situations at hand. Connecting with non-judgmental, non-critical peers who are willing to avoid giving advice, and who will listen while the person figures out for himself or herself what to do, has helped the members of this group to discover skills, recognize strengths, strategies and resources that have worked for them and have given them hope. Diana Pasca, an active member of Holy Cross Church, Medford, New Jersey is Coordinator of Vocational Services at Behavioral Health Services/Catholic Charities and Agency Liaison to the Riverbank Self-Help Center for consumers of mental health services.